Patio Furniture, BBQs, Outdoor Kitchens, Building Stone, Landscaping products and more. It’s easier than ever to achieve the backyard you’ve always dreamed about. From landscaping projects to masonry for home building and more, we’re proud to work with some of the area’s finest suppliers and contractors to provide homeowners and businesses the means to achieve these projects. 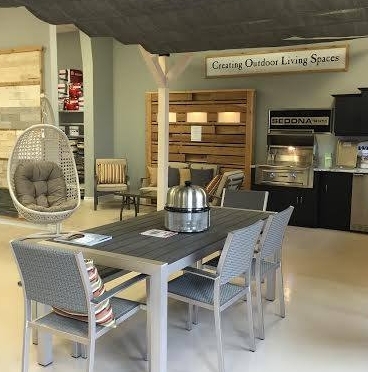 Now expanding more into the “outdoor living” market we’re offering a full selection of outdoor furniture, outdoor kitchens, pergolas and sun shades. With a showroom of over 8,000 sqft in Halifax, Nova Scotia, there’s more reason’s than ever to drop by and see why The Stone Depot is the natural choice. Looking for outdoor furnishings, building materials or landscaping products?